The United Kingdom’s Kidsgrove Scouts were crowned the 2015 Drum Corps Europe (DCE) Champions this past Saturday in Kerkrade, Netherlands. Nestled in the southern part of the country, the annual event at Parkstad Limburg Stadium featured a number of corps representing European nations including England, Ireland, Germany, Italy and the Netherlands. Saturday’s victory marks Kidsgrove’s first DCE title since 2010. After falling behind fellow UK rival the Company during the Prelims competition (89.25 to 89.45), Kidsgrove turned the tables during the Finals powering ahead with first-place finishes on the judges’ sheets in the effect and visual captions, which was good enough for first overall with a score of 91.25 out of 100 points. Having to settle for second place with a score of 90.20, Barnsley, South Yorkshire’s the Company missed back-to-back DCE titles by a little over a point. Never far from the top spot, since its first appearance at the DCE Championship in 2010 the Company has never finished lower than second. 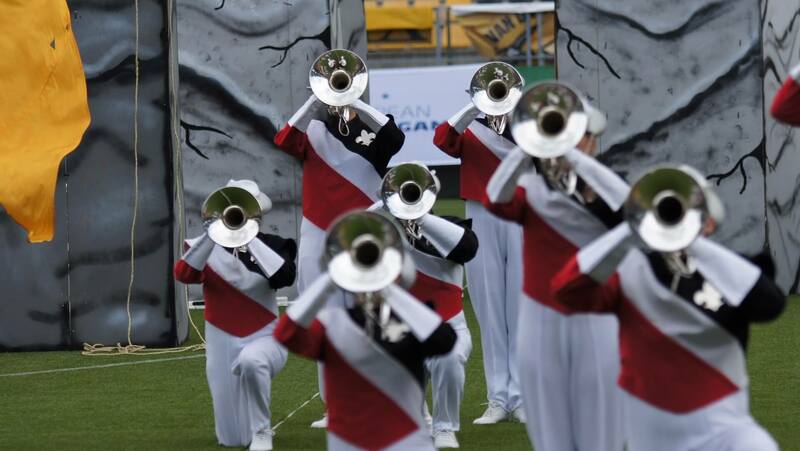 After touring the United States this summer as part of the 2015 Drum Corps International Tour, Dutch corps Jubal finished its season as Drum Corps Netherlands Champions and in third place at the DCE Finals with a score of 88.00. Juliana (Netherlands), Starriders (Germany) and Spirit of 52 (Germany) rounded out the top-six placements. Italy’s sole representative at the DCE Championship, Mosson Secutores, finished in seventh place, while Wölper Löwen (Germany), Cadence (UK) and Revolution (UK) also earned a ranking among the top-10 finalist corps. Corps from the Netherlands dominated Drum Corps Europe’s Junior Class Finals, with Johan Friso of Middelburg edging Jong Jubal by a little more than a half a point. Jong Beatrix of Hilversum and Jong-Jong-Holland Junioren of Zwijndrecht finished third and fourth respectively, followed by Thurrock Marching Brass (UK) and the Diamond Cadets (Germany).